2016 was a rough year for women. Granted, you could argue that the past 2016 years have generally been rough for women. Between the Internet trolling the female-driven Ghostbusters and Hillary Clinton losing the presidential election, though, sexism seemed as prevalent as ever throughout this entire year. In that sense, Mike Mills’ 20th Century Women couldn’t have come out at a better time. This film is a celebration of females everywhere, demonstrating that a woman can do virtually anything that a man can do. At the same time, it’s also full of warmth, humor, and beautiful performances. Mike Mills’ 20th Century Women couldn’t have come out at a better time. The film sets itself during the late 1970s as the women’s liberation movement is officially underway. Mills’ screenplay centers on three women, all of whom were born during different eras. Annette Bening plays Dorothea, a middle-aged single mother trying her best to get by. Greta Gerwig particularly shines as Abbie, a thirty-something-year-old photographer who beat cancer. Then there’s Elle Fanning as Julie, a teenager who’s still finding her place in the world. Although these women are separated by generational gaps, they’re all equally independent, smart, and driven. They’re brought together through Dorothea’s son Jamie, played by newcomer Lucas Jade Zumann. Mills drew inspiration from his own upbringing while crafting this project. While Mills had a father growing up, he wasn’t the most reliable parental figure. Thus, Mills turned to his mother, sisters, and other young women for guidance. It’s safe to say that Mills put a lot of himself in Jamie, who is also reminiscent of William Miller from Almost Famous. Much of the film simply follows Jamie as he learns about life and love from these three women. 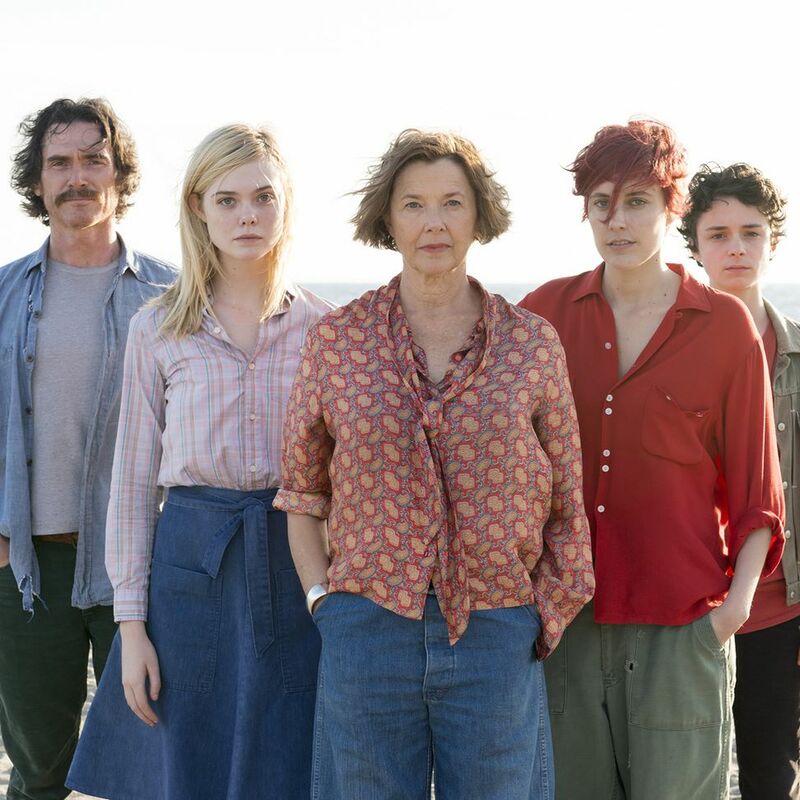 That might not sound like much, but 20th Century Women is an incredibly relatable film about a significant transitional period in our society. 20th Century Women is an incredibly relatable film about a significant transitional period in our society. 20th Century Women almost feels like a time capsule that epitomizes second-wave feminism in America. However, it’s themes and characters are just as relevant in today’s world. Now more than ever, the traditional family structure is becoming less widespread. That’s not to say that traditional families aren’t still around, but times have certainly changed. A single parent can act as both a male role model and a female role model. Some kids don’t just have one or two parental figures, but three, four, or even more. Mills’ film does such a strong job at capturing this turning point for unconventional families. In terms of plot, 20th Century Women is pretty laidback and doesn’t stick to a three-act structure. That’s largely part of the film’s charm, though. It’s always nice to see a picture that doesn’t need a bunch of crazy twists or a villain. Sometimes just watching people live their lives is enough. The characters and their dynamics here are just so interesting to observe. Jamie’s relationship with his mom feels beyond honest. His sisterly relationship with Abbie is also quite genuine. Even his relationship with Julie avoids the temptation of becoming a common love story. These characters provide the backbone of this slice of life movie. If we can get more films like this, perhaps 2017 will be a better year for womankind and humankind. This entry was posted in Reviews and tagged Comedy, Drama on December 22, 2016 by Nick Spake.